NMNPC currently supports four scholarships of $500 in memory of Candelario Garcia. Candy was one of the original nurse practitioners involved in creating an organization for NPs in New Mexico. He championed the role of NPs in our state and served as a mentor to many. He was a clinician who took groups of NPs to Mexico to provide health care in rural areas. In addition, he served as a lecturer in the nurse practitioner program at the University of New Mexico and published many articles on rheumatology. Candy was an ardent supporter of NP education. His death was a huge blow to those who knew and worked with him. With their leadership, NMNPC instituted these scholarships in remembrance and honor of his efforts on behalf of education for NPs. Statement attesting that applicant is a New Mexico resident and plans to work in New Mexico after graduation. 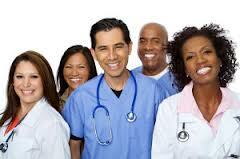 Copy of license lookup from the NM Board of Nursing website verifying current unencumbered RN license. Letter of recommendation from a faculty member of the program that prepares RNs to become NPs. Download and complete the application (link above) and email the application and all supporting documents (see scholarship information above) to the Scholarship Committee, at contact@NMNPC.org between September 1 and January 30. Applicant must be a current member of NMNPC when applying for and being awarded a scholarship. If you're not currently a member and wish to apply for a scholarship, go to Join NMNPC to join now. Student memberships are $25 per year. NMNPC established this scholarship in 2014 to honor the memory of a long-standing member of NMNPC, Myrna Wood. Myrna was a pioneer in the nursing field, becoming the first married woman to return to nursing school in New York State after her 1944 marriage to Albuquerque native Ken Wood. After she and Ken returned to New Mexico, her physician employer had a heart attack. To keep the practice open, Myrna went to Wichita, Kansas to become a family nurse practitioner. Following her graduation in 1976 at the top of her class, she returned to New Mexico as one of the first family nurse practitioners licensed in New Mexico. Myrna practiced in the Albuquerque area for her entire professional career and worked to help geriatric patients through her work at Casa Maria, in nursing homes, and in a geriatric clinic. 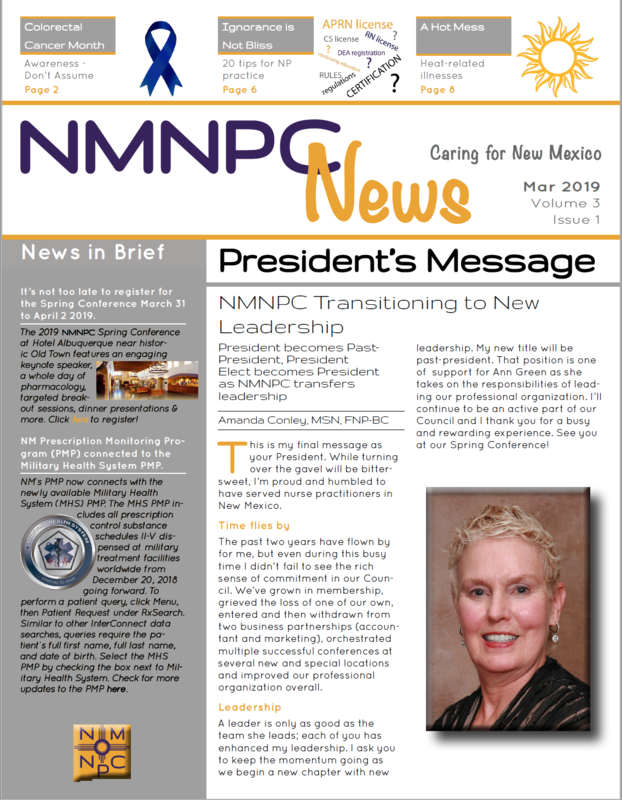 She was a founding member of NMNPC, serving as our treasurer for more than 15 years as well as participating in other committees and assisting in many ways with the annual continuing education conferences held in Albuquerque and Santa Fe. Myrna regularly traveled to meetings outside the Albuquerque area with other Board members to engage NPs in other parts of the state. She was a preceptor for students from the University of New Mexico nurse practitioner program for many years and was also a mentor to a great number of other nurse practitioners. Myrna was born in 1925 and died in 2013.